After leaving the Cliffs of Moher, Bob and I still had quite a distance to cover since we would be hanging our hats that night at Ashford Castle in the village of Cong. 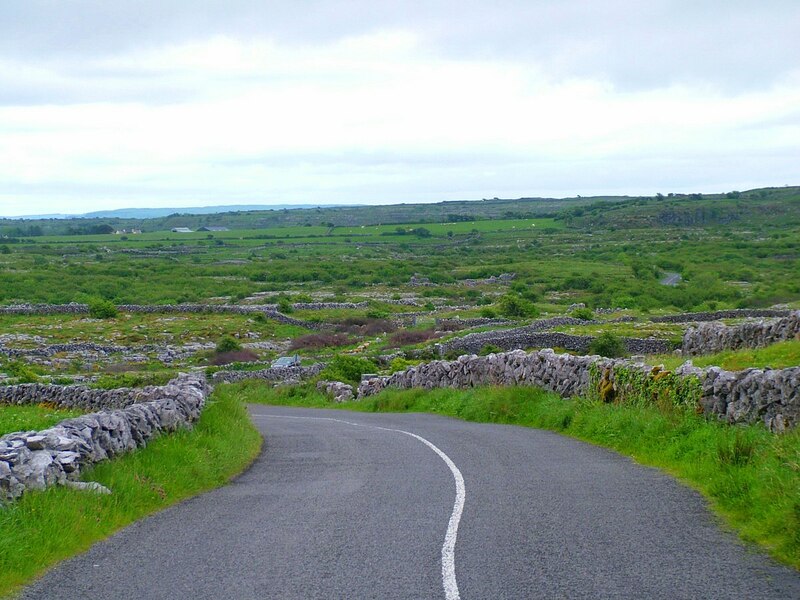 One area we wanted to investigate on the way was The Burren, a uniquely fascinating bit of landscape near the village of Ballyvaughan. 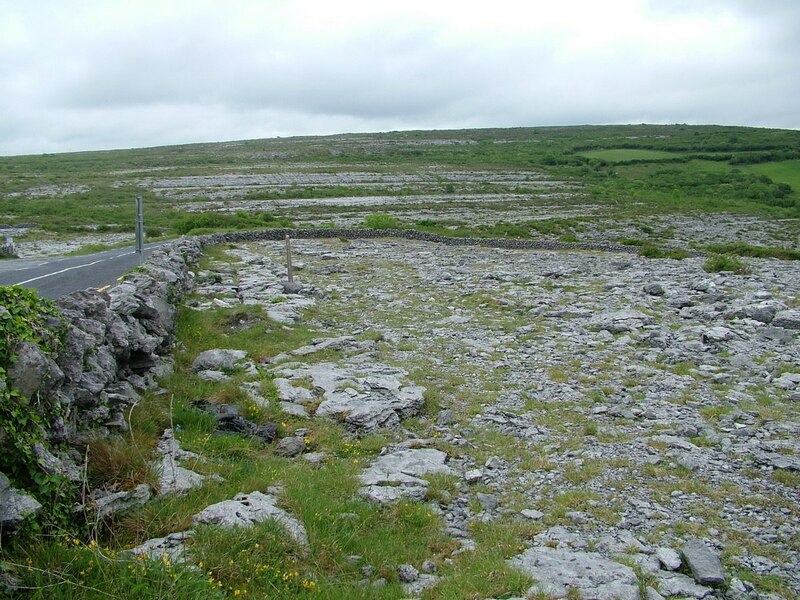 The stark, mournful terrain of that region is the result of little soil cover and sweeping expanses of exposed Limestone Pavement. Even before we found ourselves surrounded by The Burren, we started to appreciate the singularity of the region. 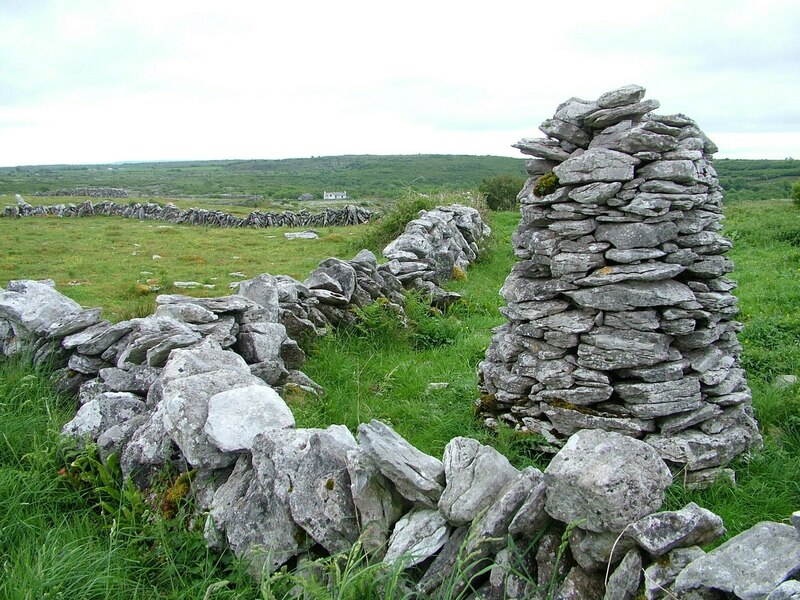 The word “Burren” has its roots in the Irish word Boireann, which means rocky place, great rock or place of stone. We certainly started to see evidence of that in the extensive network of fences and property boundaries visible from the roadway. 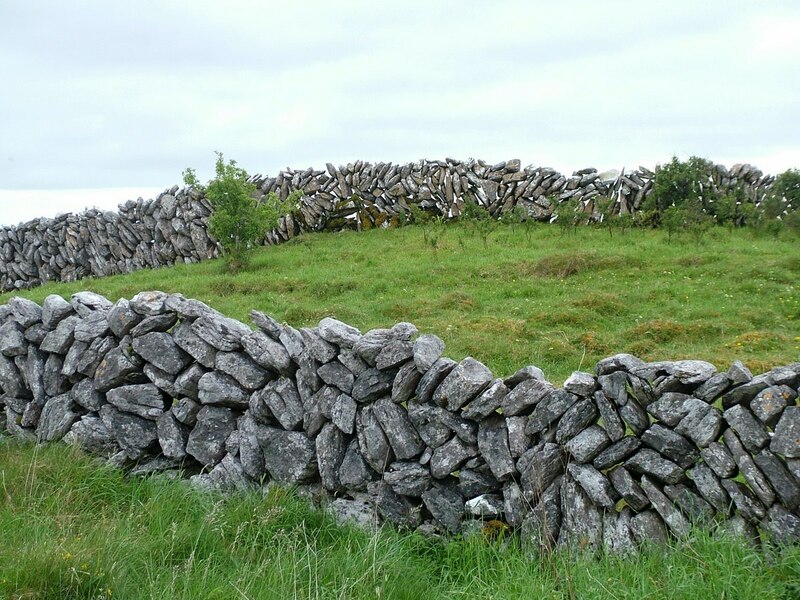 Zigzagging haphazardly across the plateau, the stone hedgerows serve to keep cows off the roadway and visitors from trespassing…in most cases. Local residents and farmers make good use of the available limestone rock that covers about a 250 square kilometre (96 sq. mile) area in northwest County Clare. It is one of the largest karst landscapes in all of Europe. The vast rocky area reaches up the sides of imposing majestic mountains and down into tranquil valleys where neither bogs nor pastures can be found. 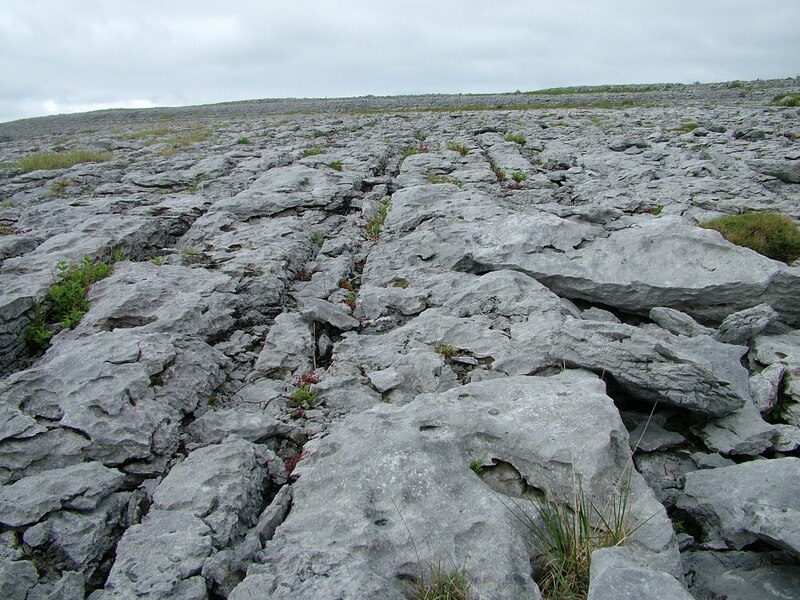 The desolate limestone pavements of The Burren began beneath a tropical ocean some 360 million years ago. Tectonic movement moved the ancient seabed to the surface. The plateau went through various transformations in the intervening centuries with finally the boulder clay left behind by the Ice Age being eroded away. 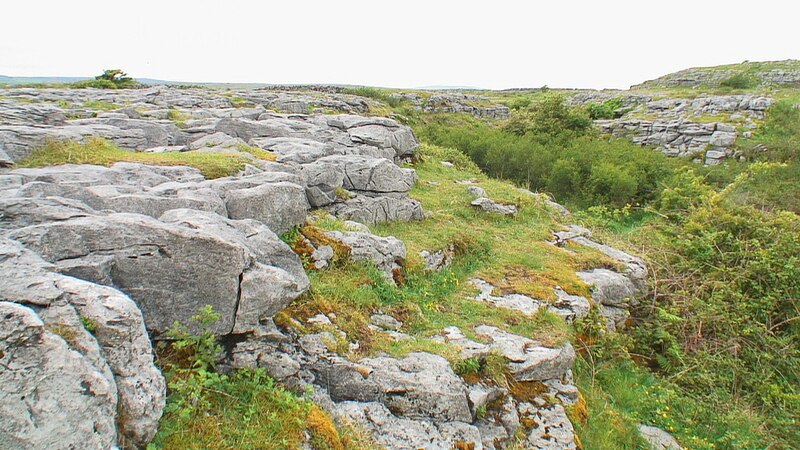 The huge limestone pavements that remain are called “clints”, the vertical fissures called “grykes”. Bob pulled the car into a lay-by at the side of the road so we could get out and explore a section of the rugged, uneven pavements. As we wandered amongst the karst, a couple whizzed by on their motorcycle on the road hidden just the other side of that stone fence. 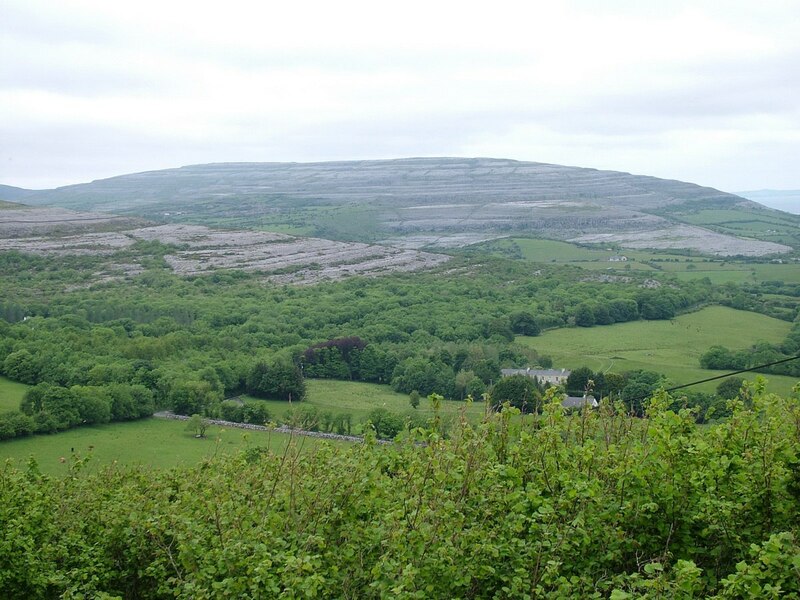 As barren and desolate as The Burren may appear, the area has been settled by man since the Stone Age. With the removal of the forests for shelter and fuel, the rich soil eroded away to leave exposed the limestone that holds secrets of the past…corals, mollusks and other fossils that thrived in the shallow seas 300 million years earlier. Evidence of man’s mark on the landscape also abound in the region with massive Stone Age Dolmens, wedge tombs, stone forts and burial chambers as well as churches, homesteads and castles from more recent settlements. 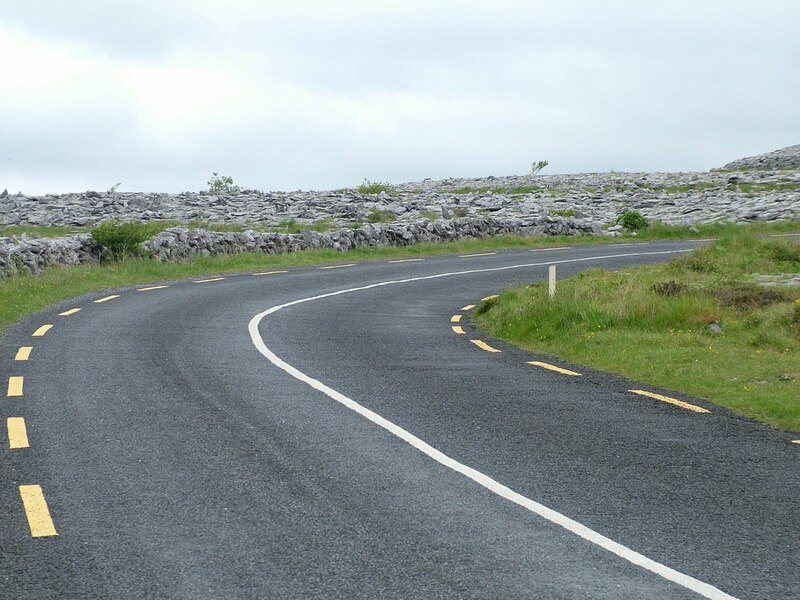 Bob and I continued along the roadway towards Poulnabrone Dolmen, which is located on the peak of the plateau. 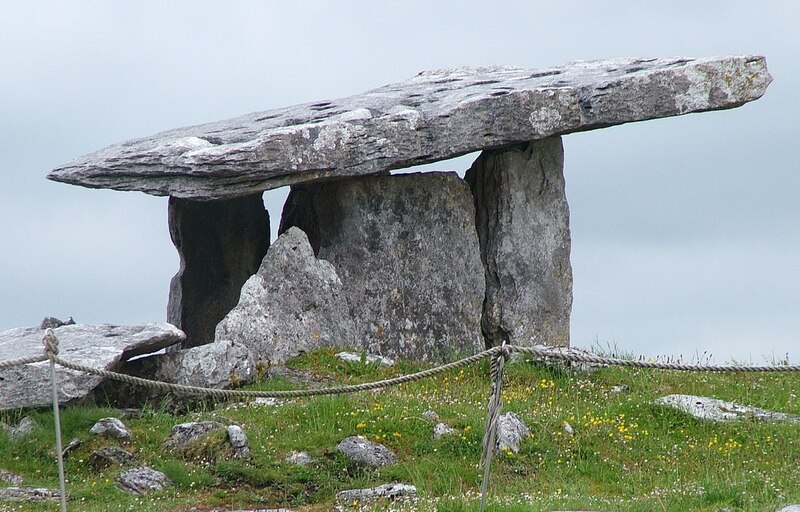 When first Bob and I spotted the Dolmen in the middle of a field by the roadside, our jaws dropped. 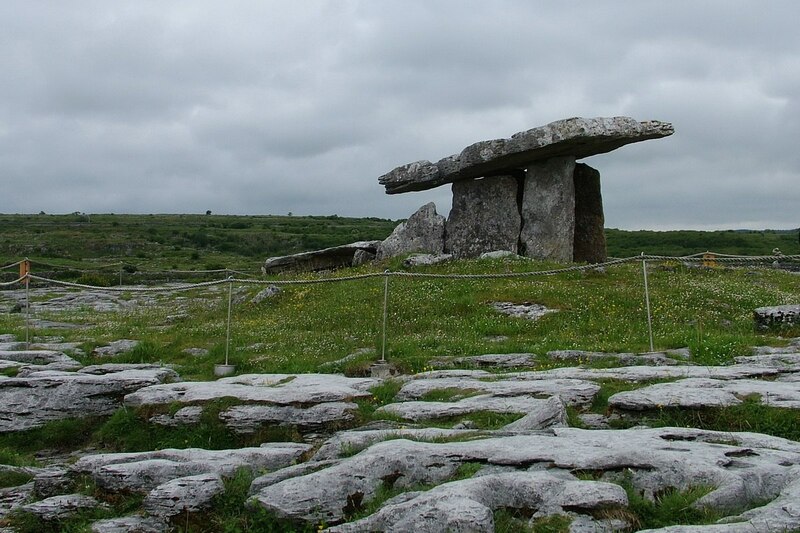 Its megalithic proportions had it dominating the limestone landscape of The Burren for miles around. Few sightseers were on the property that late in the afternoon, which served to magnify the lonely majesty of the structure. 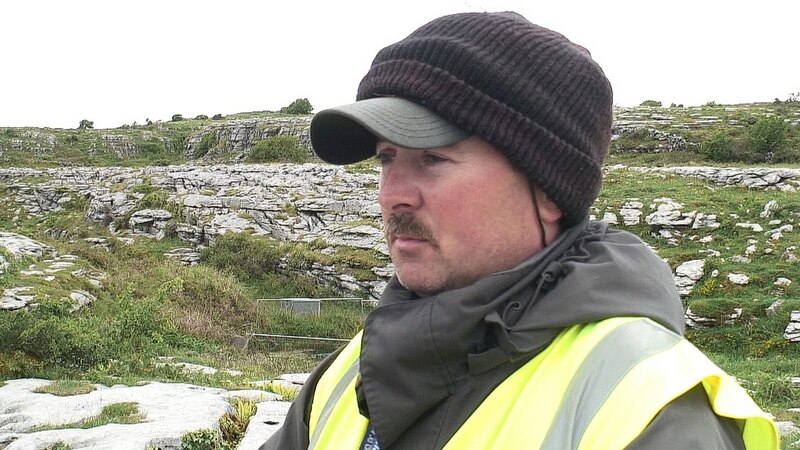 A dedicated guardian of the location, Joe Clancy, was eager to share with us his extensive knowledge about the history of the burial tomb, the flora and fauna of the grounds, and archeological finds in the area. Joe told us, among other things, that the state had purchased the land from a farmer in the 1960s for 1/2 million Euros in order to better control and preserve the sacred burial site. As Bob and I explored the site around the Dolmen, we found the footing very stable on the huge limestone slabs (clints), but we had to avoid inadvertently stepping into deep crevices (grykes) that lay hidden by tufts of grass. 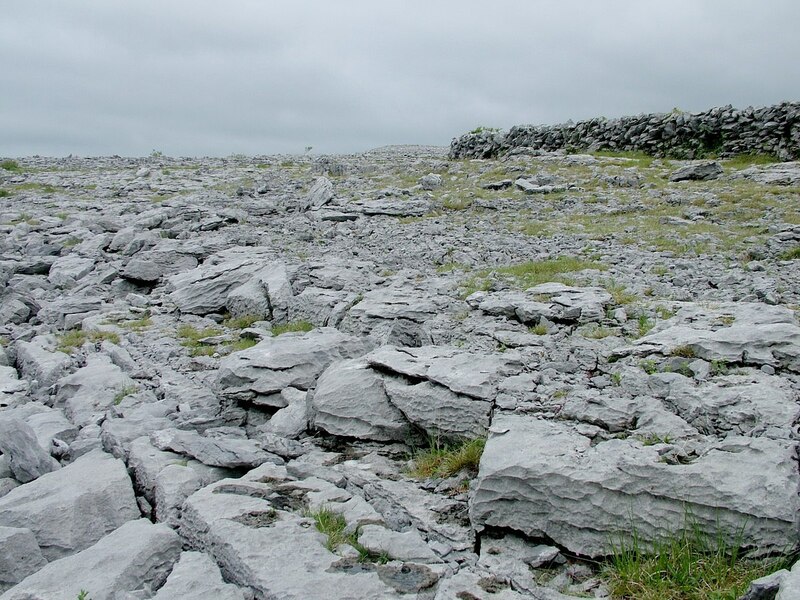 Despite the dry, forbidding appearance of The Burren’s lunar landscape, it supports many species of animals and plants. Joe told us to keep a sharp eye as the diminutive and delicate plants grow up from small deposits of soil in the grykes. 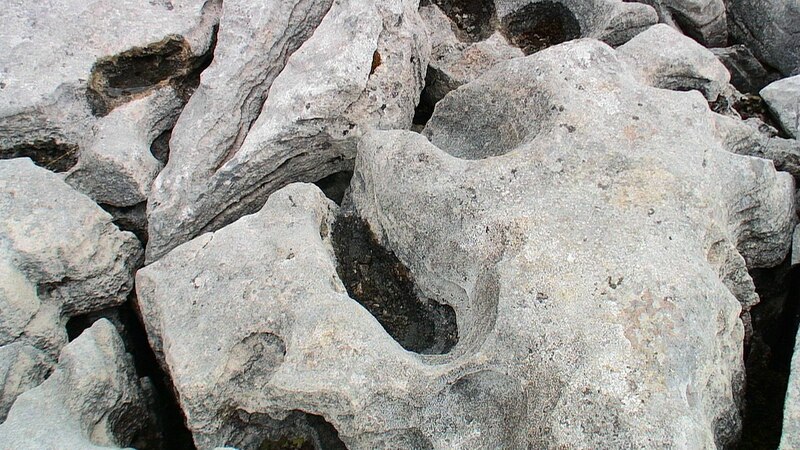 Limestone is water soluble, so the effects of rain over the millennia have eroded ten billion little rivulets into the surface rock to create the grykes. As that water drained from the surface, it slowly eroded the buried layers of limestone into a vast network of caves…the largest unexplored cave system in the world. The dissolved calcium accumulated into a white viscous liquid that coats the walls and floors of the caves. It used to be referred to by the locals as “moonmilk”. Underground streams of water mix with the “moonmilk” to create subterranean rivers that flow through the labyrinth of caverns hidden below the karst. 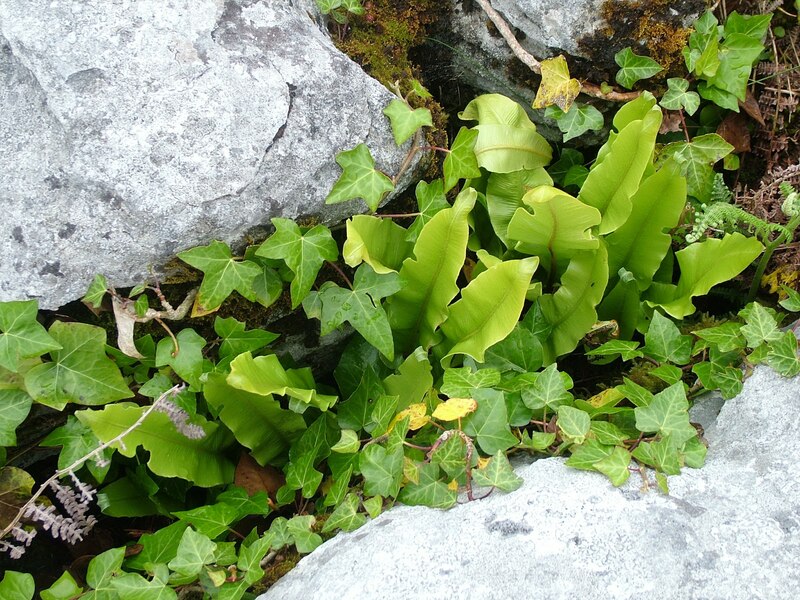 The plants of The Burren are all given life from the spectacular caves, streams and potholes that lie beneath the rough, scarred pavements. It is that unique and complex environment that fosters the growth of plants not usually seen growing together in one crevice let alone in the same country. 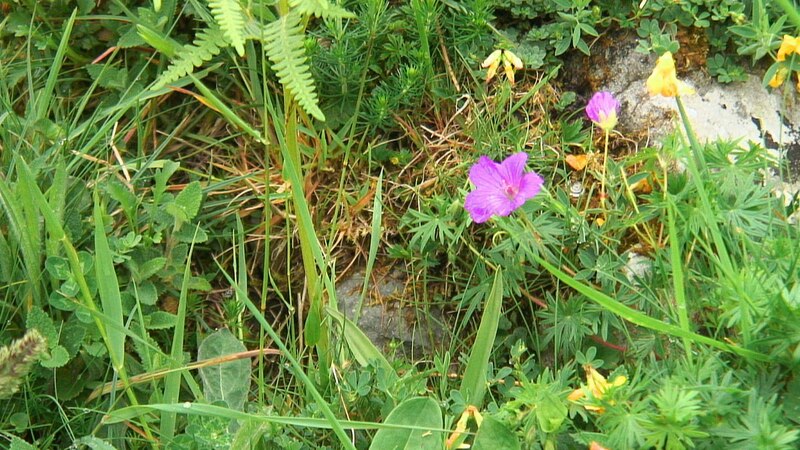 Plants coexist there that are otherwise seen in the Arctic, Mediterranean and Alpine regions of the world. 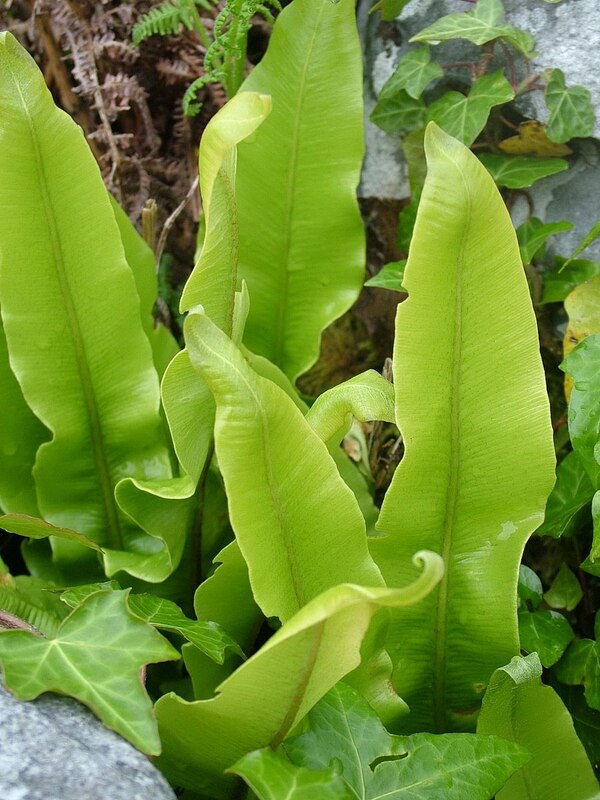 Paying close attention to the plant life for which The Burren is famed, we were amused when Joe told us this is an example of Ox Tongue Fern because I was born and raised in a little community called Oxtongue Lake in Ontario, Canada. 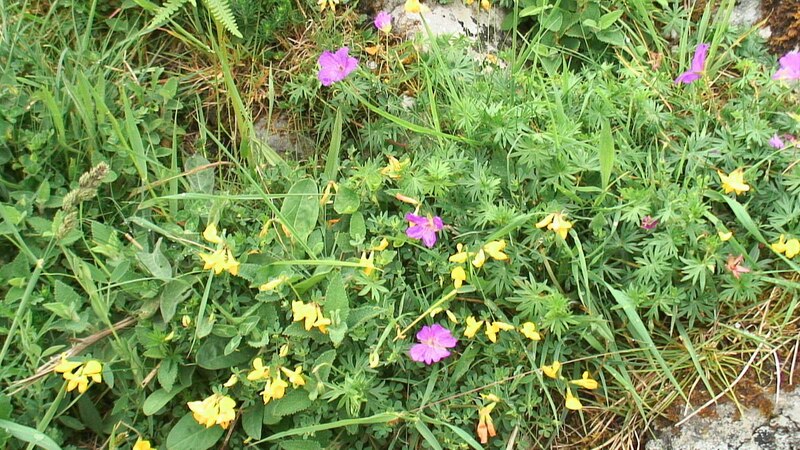 Because of the proliferation of limestone, plants that thrive in acidic soil do well on The Burren, plants such as Foxglove, rock roses, Mountain Avens, Alpine Gentian and Bloody Cranesbill, seen above. 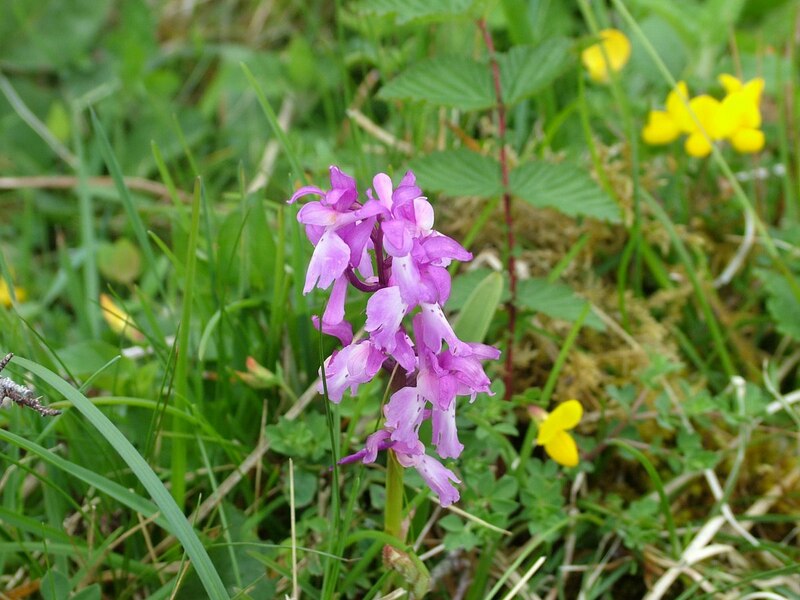 Actually, The Burren is home to three-quarters of Ireland’s species of flowers, including 23 species of native orchids. Bob and I came across one such orchid, a delicate mauve-pink specimen, as well as Maidenhair Fern and bright yellow Bird’s Foot Trefoil. The microclimate provided by all the rocks nurtures the plants, while odd winds of the area result in an amazing mix of wildflowers and other plants. 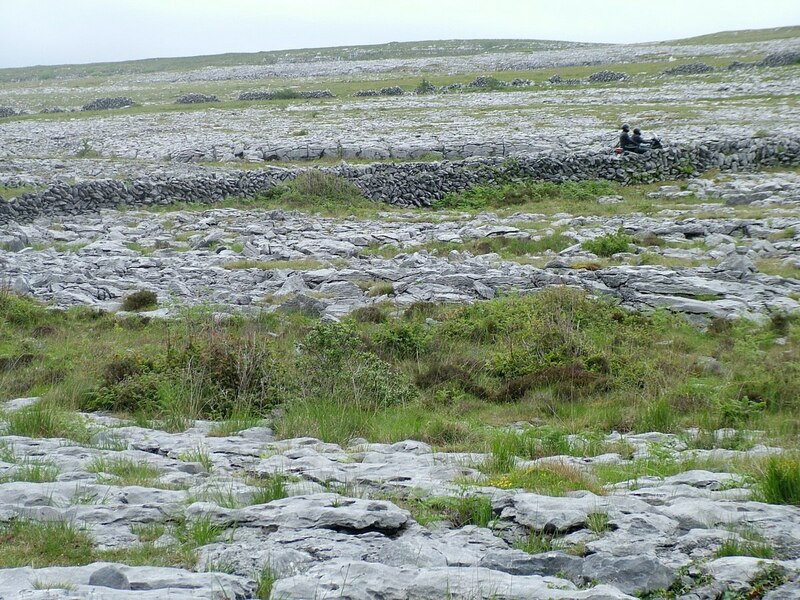 Botanists have tried to explain why such an eclectic mix of plant species exists on The Burren, but they have not been able to solve the puzzle. Dusk was settling over County Clare by the time we took our leave of The Burren, and despite the fact that the region is the complete opposite of the lush, green island that the world extols when visiting Ireland, Bob and I found that the grey, sparse, barren and cracked limestone pavements exhibit a beauty all their own. 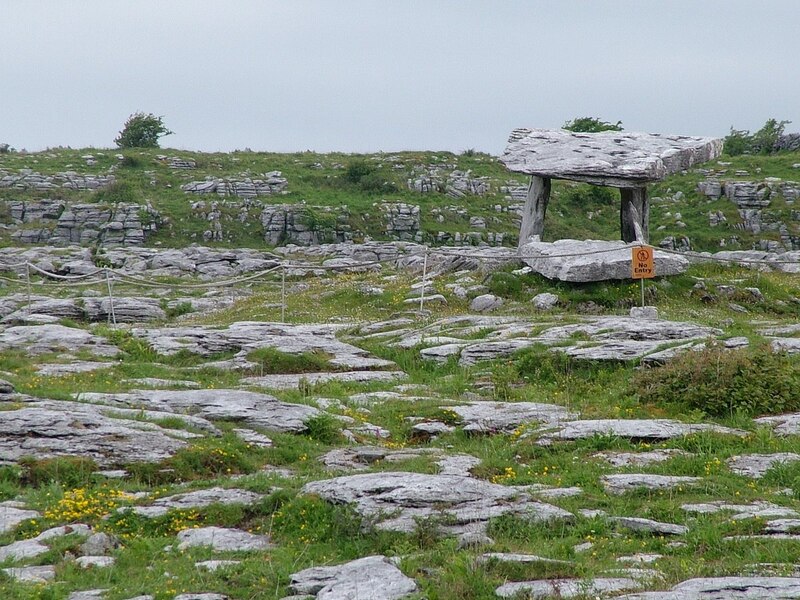 With the megalithic tombs, remarkable diversity of flora and fauna, and the intrinsic sense of spiritual peace, The Burren weaves a tapestry of colour and an alluring mystical aura that left us wanting more. Just one word of caution, however. The deep fissures may be treacherous obstacles for hikers, but it is the cave system that poses the greatest risk. We were told to avoid it at all costs. Many have already lost their lives there.